Southwest, Santa Fe rodeo theme. Rocking horses is approximately 1.5" nose to tail. 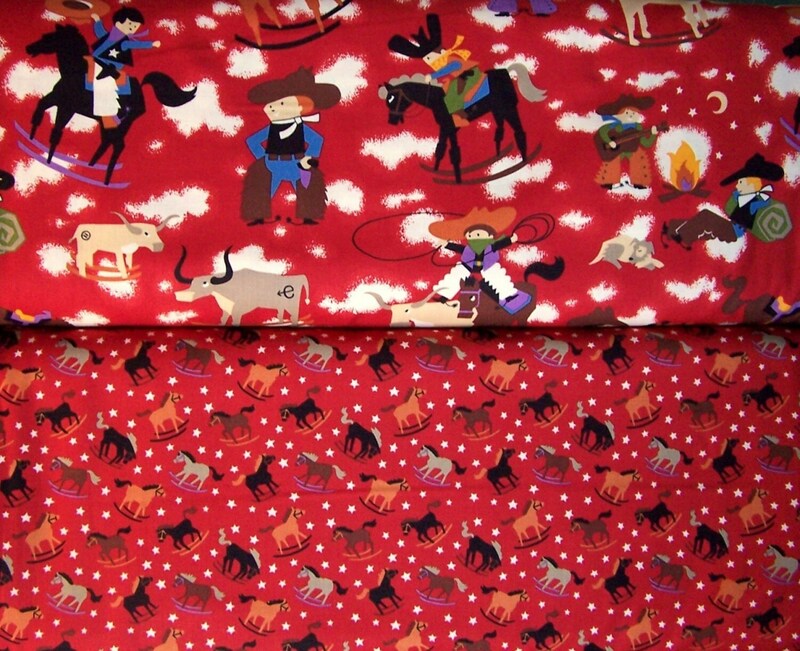 Great for a western theme baby nursery, children's bedding, apparel or a theme party. Width: 44 inches ( or 21" for Fat quarter). Simply use the drop down menu to select a cut. Fat quarter or continuous cut ( 1/2 yard, 3/4 yard or by the yard).